Yes, this BMW M3 comes with a pricey Individual Finish option. But what a beautiful option it is. 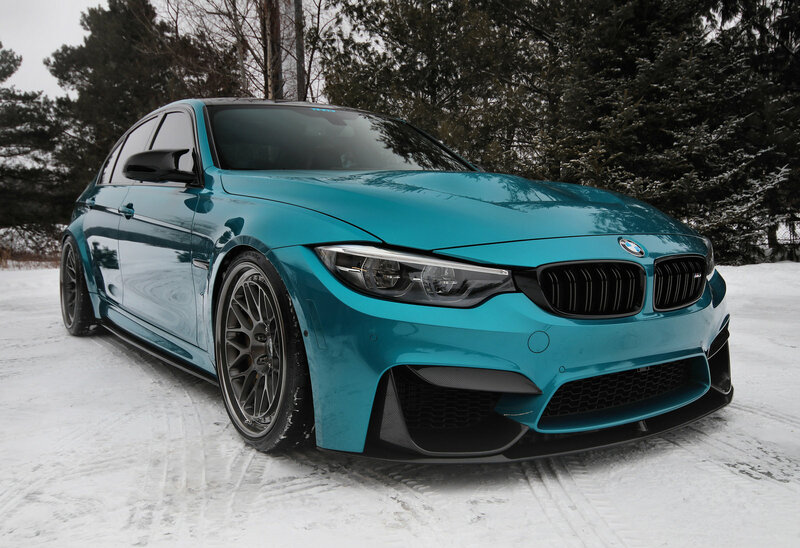 Many of us remember the Atlantis Blue BMW E92 M3s, and now, this finish was transposed into the current BMW M3 in such a way, that this could very well be one of the most interesting Individual Finishes we’ve seen to date. Unlike some other, more in your face, screeching bright wraps we’ve seen, this factory applied Atlantis Blue Metallic finish looks both attention-grabbing and elegant at the same time. 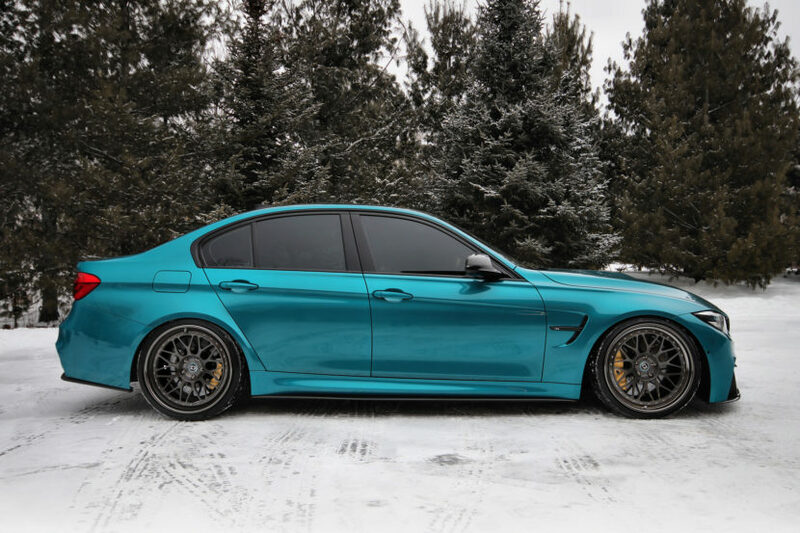 Furthermore, this BMW M3 is loaded with quality aftermarket parts! 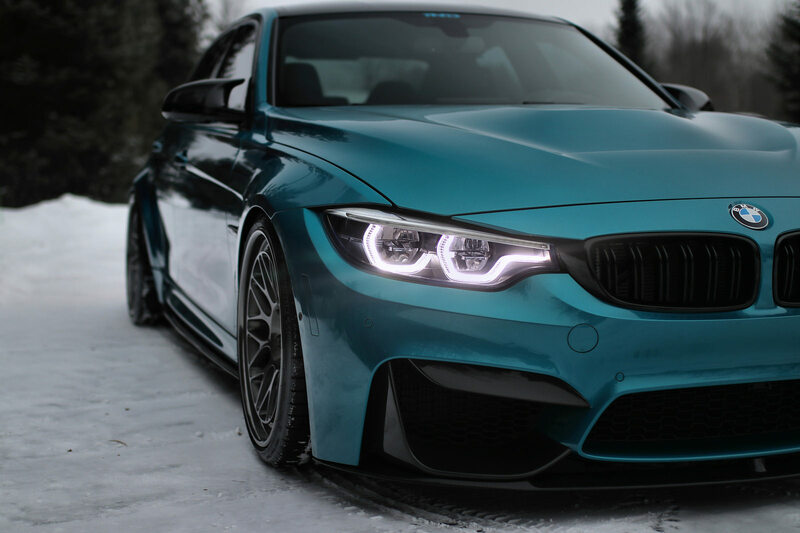 The vehicle is an MY2015, but it comes retrofitted with LCI (Life Cycle Impulse) headlights – a perfect switch to make the M3 look as fresh as any other vehicle in its model range. 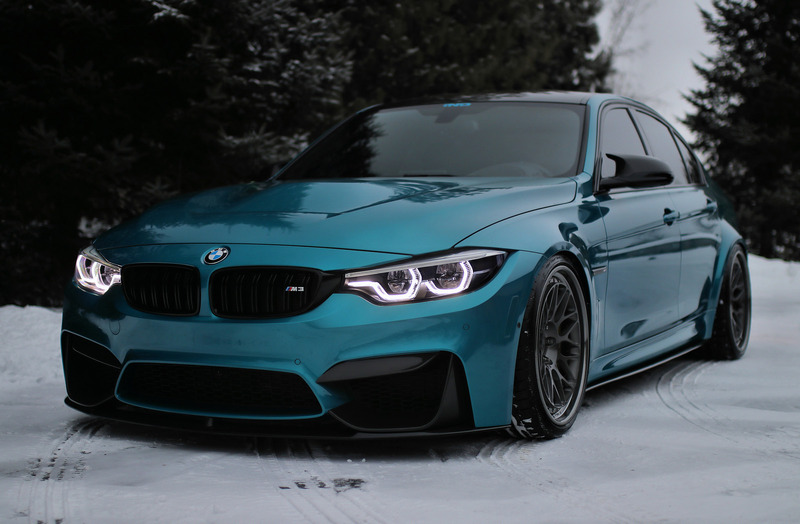 The build – after the headlights upgrade – took off with a ser of aerodynamics carbon fiber upgrades. Namely, a set of Sterckenn front lip splitters were installed, followed by a set of RKP carbon fiber side skirts, all finished off with an M Performance parts front lip spoiler, rear diffuser and a rear decklid spoiler. 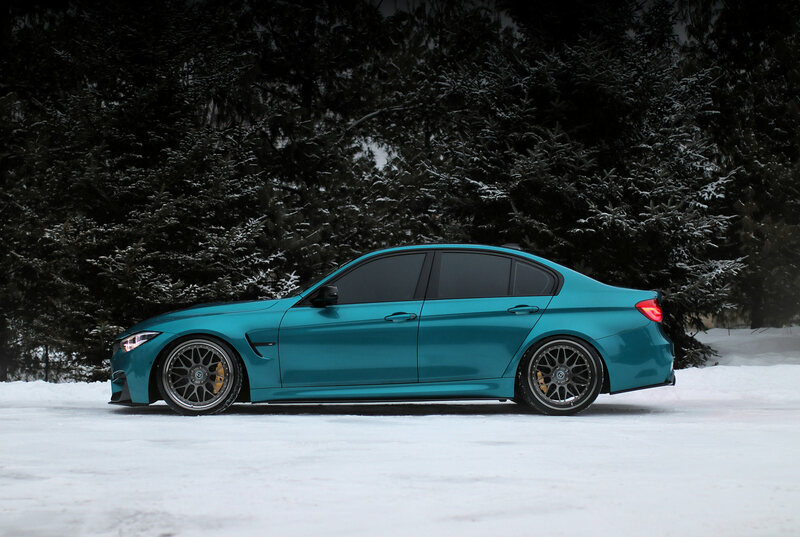 While the carbon fiber parts work well with the Atlantis Blue Metallic finish, the most impressive addition to this M3 are the HRE Wheels. These HRE 300 forged wheels come with one of the most appealing and recognizable classic wheel designs. They feature the three-piece wheel configuration, showing hardware and a beautiful step lip option. These lightweight wheels are sized 20×9.5 and 20×11.5 in the front and rear, respectively. The owner went with a finish combination consisting of a Gunmetal disc and Matte Black lip with a Clear finish. 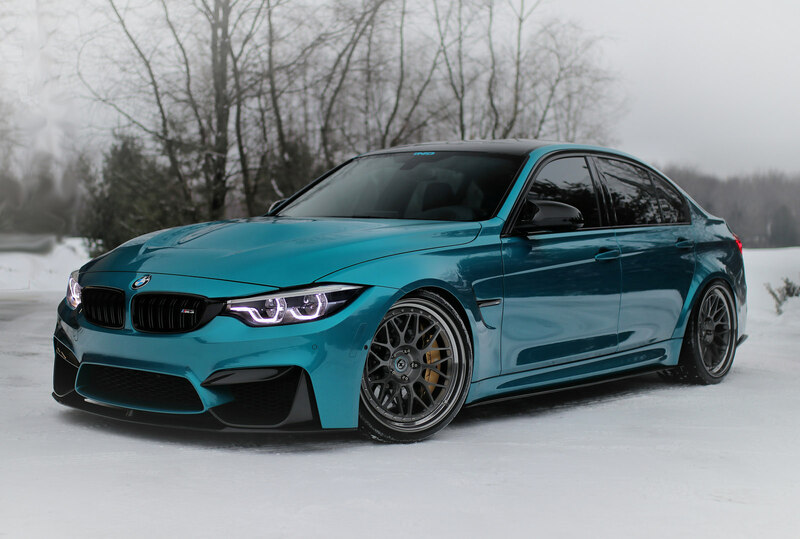 Starting at $1,400 each, these may well be one of the most affordable custom wheels available on the market today, making them a perfect option for a BMW M3 or BMW M4 build – just like this one. 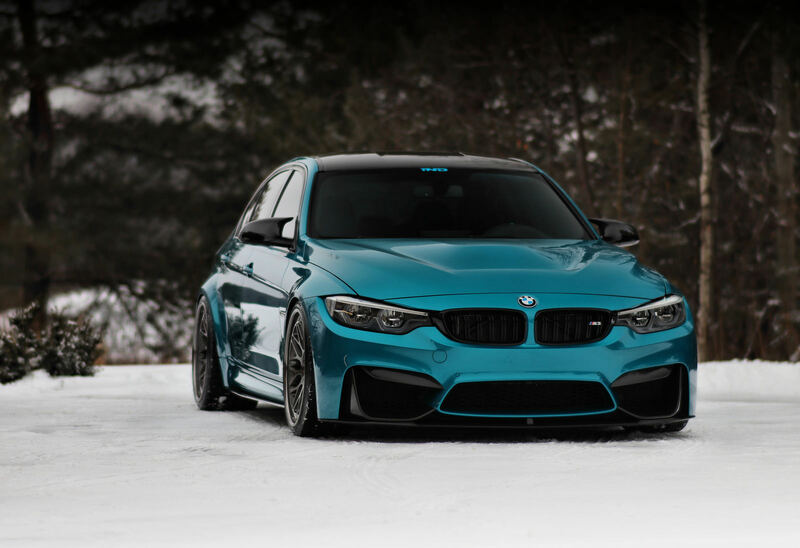 With plenty of brake clearance, those huge BMW M Performance brakes will have plenty of cooling flow available, making brake fade a thing of the past. 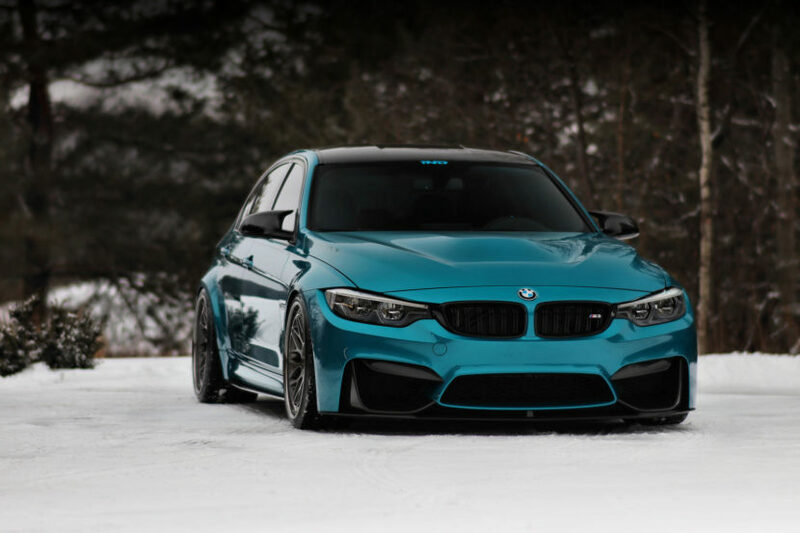 Additionally, the M3 is lowered thanks to a KW Suspension coilover setup. 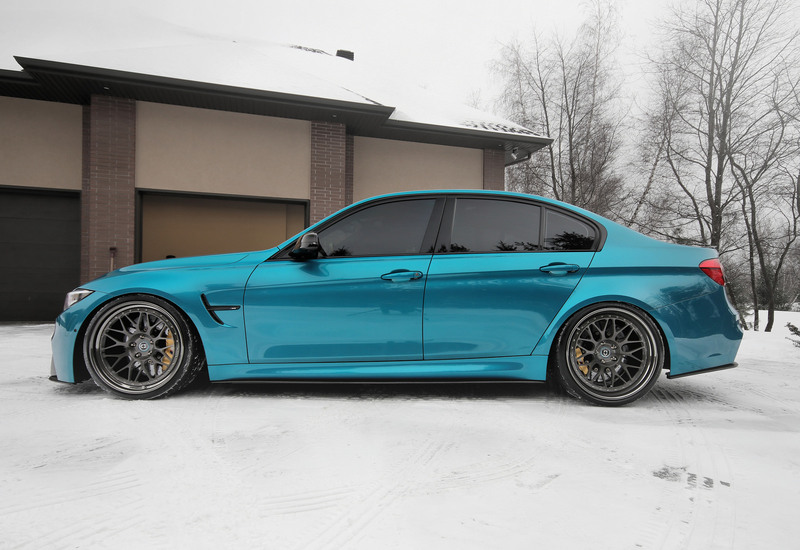 Grab a detailed look at this Atlantis Blue Metallic BMW M3 project right below.